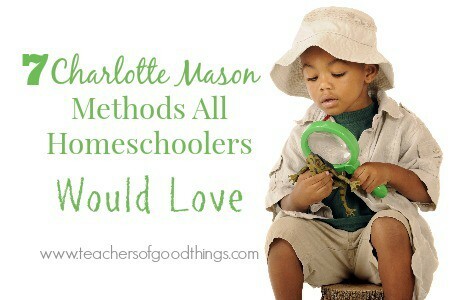 I may be bias, as a lover of Charlotte Mason method, that all homeschoolers would love this method as much as I do. I wanted to share with those who may be sitting on the fence to what they want to do with homeschooling, how to homeschool their children in a way that would be enjoyable and fun, and share my favorite things about the Charlotte Mason method. 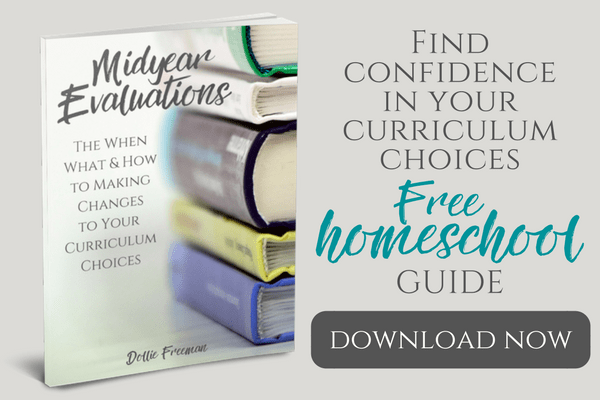 Here is my list of 7 of her methods that I'm certain all homeschoolers would love. Living Books – If you aren't sure what living books are you may want to learn this first. Once you know what a living book means, you will begin finding them everywhere. Charlotte Mason didn't use text books, but had living books make up her curriculum for her students. Having my children read biographies, historical books and classical books have proven to me that nothing could be better for their education. If all you know is teaching with textbooks, you will want to see how I use living books in my homeschool and see how easy it can be done. Copywork – Teaching penmanship can be so meaningful with copywork, imparting good ideas while practicing the formation of letters, spelling and grammar all at once. Check out my Bundle of Learning and Discipleship curriculum for some copywork for your children. Narration – I absolutely how narration replaces the worksheets in modern schools. Charlotte Mason utilized the natural retelling of children in their lessons. After a one listening or reading, they were to narrate what they remember. This is something that takes practice and patience, but once it is mastered, it is an amazing way to evaluate your children without the need of fill in the blank, circle the answer and true or false test. Nature Study – I couldn't imagine homeschooling my children without nature studies. I absolutely love the things that nature studies have done for my children. Nature and science shouldn't be taught in books alone, but coupled with first hand knowledge of the world in which they live. Short Lessons – I often hear stories of moms who are so warn out with children who despise homeschooling because they work all day on their lessons. Charlotte Mason was an advocate of short lessons and I know that if a homeschooling mom tried this, they would be lovers of short lessons as well and their children would flourish greatly from this method. Music Appreciation – Music is so important to so many people, but with Charlotte Mason she had her students do more than just listen to it. They learned about the composers, the history of the music and the instruments in the song during their music appreciate lessons. I love taking my family to outdoor concerts, allowing for picnics and music together. Here are some suggestions to start music appreciation. Art Appreciation – Like music, art appreciation was a big part of Charlotte Mason's method. A student would study the art piece, give a narration or description of the piece, learn of the artist and even do their own rendition of an art piece. Here is a list of some artist to focus on if you are interested in implementing art appreciation. Are you interested in learning more about the Charlotte Mason method? 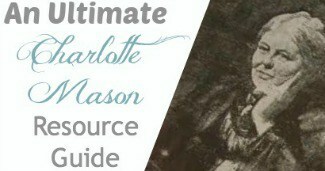 Get my ebook, The Charlotte Mason Way Explained, join my Facebook group Mother Culture Connections for Charlotte Mason Educators and dig deeper into my homeschool post. You will be so glad that you did and then you will understand that I'm not bias at all.